Great post…..it was an enjoyable evening & it was wonderful seeing you. I am so pleased you had a great time. 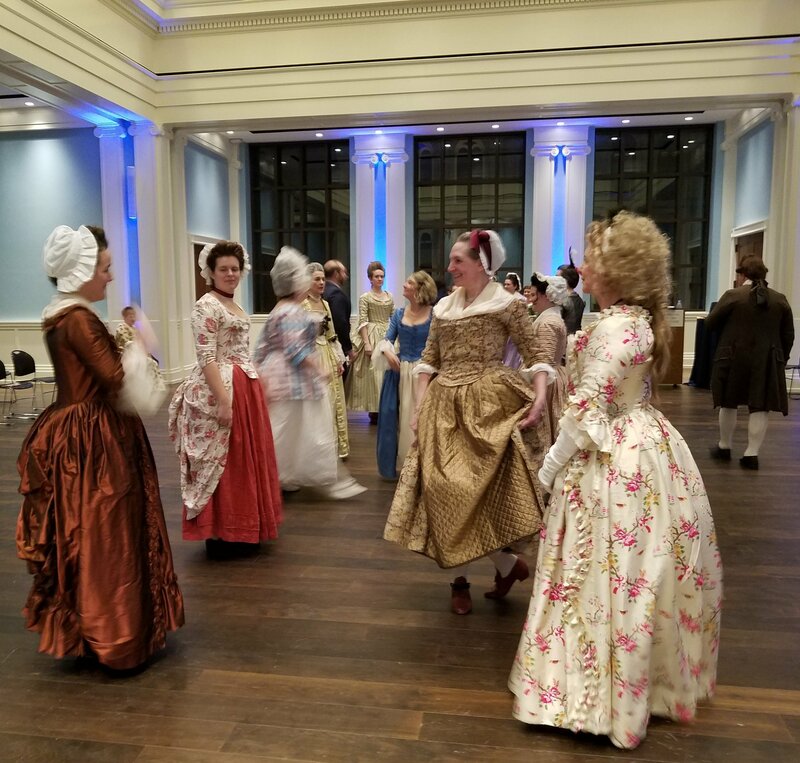 My goal is to share this aspect of 18th century life…..one which was experienced on many socio-economic levels. So glad you enjoyed yourself. I was very happy to see you. It was a great evening. 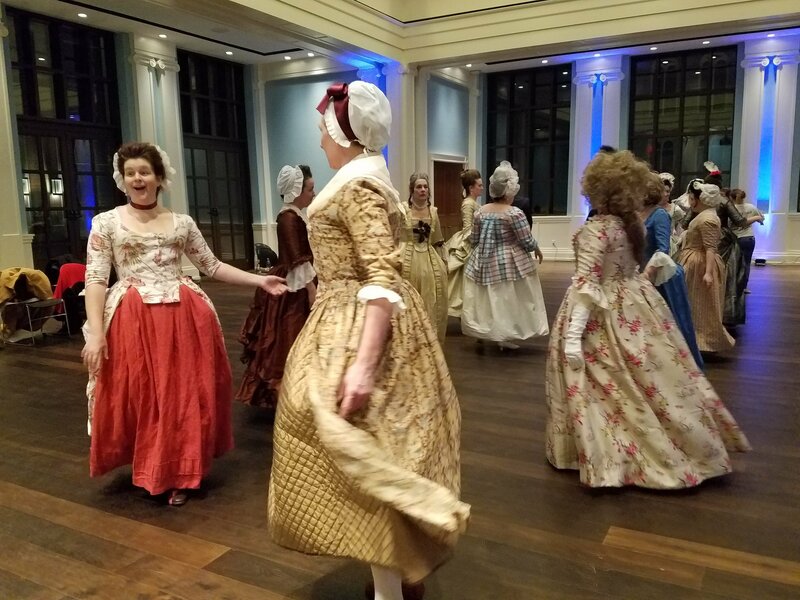 I love sharing this wonderful aspect of living history. 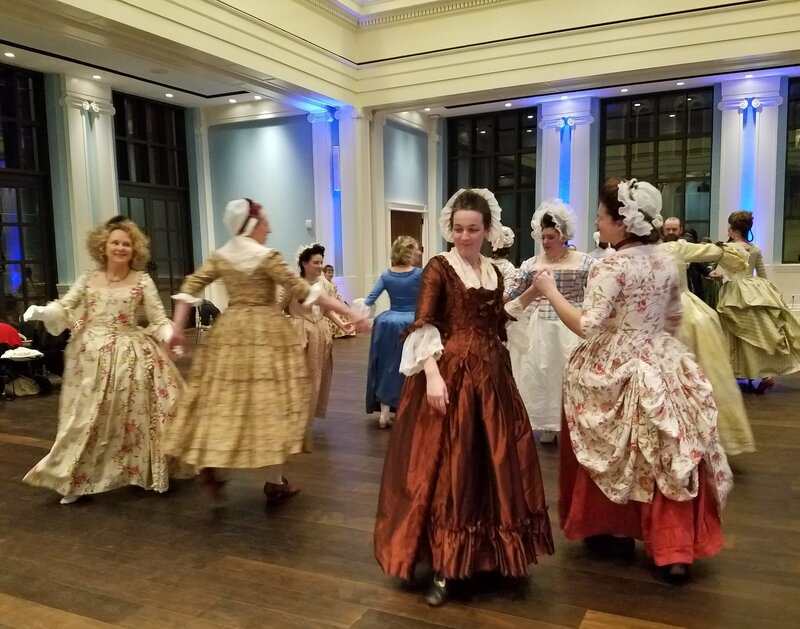 As you know, during the 18th century, dancing was enjoyed in most all socio-economic levels, so I feel it is important to foster this activity among living historians.